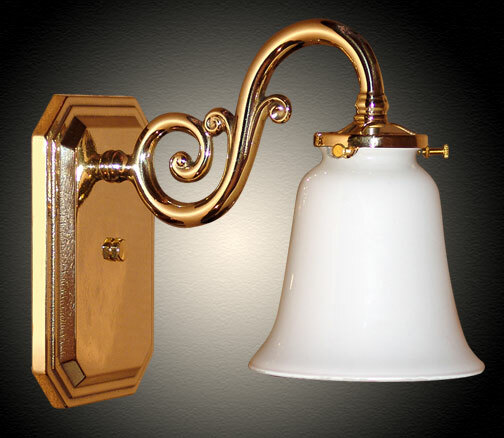 A reproduction of an Art Deco style vintage light fixture design. It might have been placed outside a front door on either side to illuminate the way for guests. Picture perfect in polished brass. The all around smooth feel of this opal white downlight and the contrast of curves and angles really set this one apart. Mount it upwards or maybe go for a fabric shade instead of glass for a completely different look!